MakingYouAware.com just wanted to share this really helpful article on the two most important metrics that are crucial to succeed with an online business (through making sales). “Lets stick to the $100 commission per sale for this example. Your average customer value in this case would be $100. “(Average Value of Sale) X (Number of Repeat Transactions) X (Average Retention Time in Months or Years for a Typical Customer). A very simple example that you can use to understand this formula better would be the lifetime value of an average gym member who spends lets say $25 a month for 2 years. This is why certain Internet Marketers can dominated and “out market” other people. They have more money to spend on marketing (as they have cracked these two metrics), therefore, get more leads and make even more money to spend on even more marketing. And it is usually very good and well thought out marketing. It is also why it said that 97%+ of marketers fail online! They haven’t quite cracked these two metrics yet. P.S. 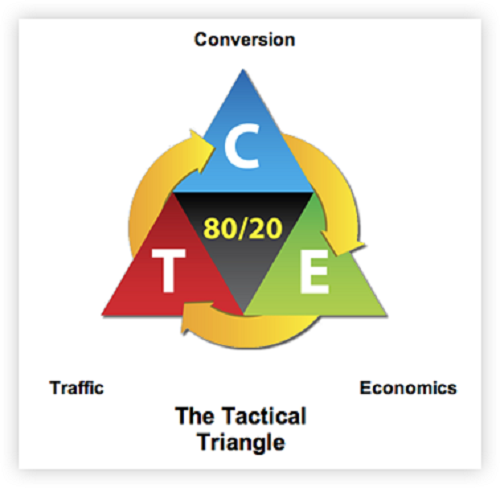 Also have a read of this article entitled Tactical Triangle: The Ultimate in Marketing Simplicity by Perry Marshal. It ties in with these two metrics beautify. ← What is Bitcoin (and cryptocurrency), and why will it be worth millions in years to come?